Hailstorms cause large damage to vehicles that are not properly garaged. If it’s a big storm even windshields can break, but the most common vehicle damage is denting of the roof and hood of the car. Hail dents can be as small as a thumbnail and some can measure a few inches in diameter. Removing these dents requires a special technique, called Paintless Dent Removal. Paintless Dent Repair or Paintless Dent Removal (PDR) is a process where dents with up-to a few inches in diameter get removed from the car body without using any of the conventional methods that require sanding, body filling and painting which takes a lot of time and is expensive. 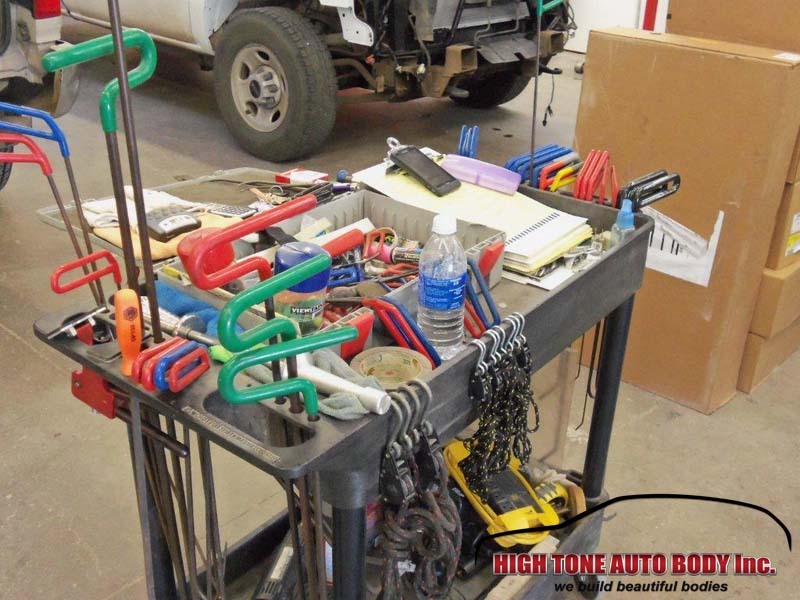 This process is performed by using specialized tools and techniques developed for this kind of job. Although some think that paintless dent removal is an easy and straightforward process, it is a very skilled work and not everybody can perform a proper PDR. 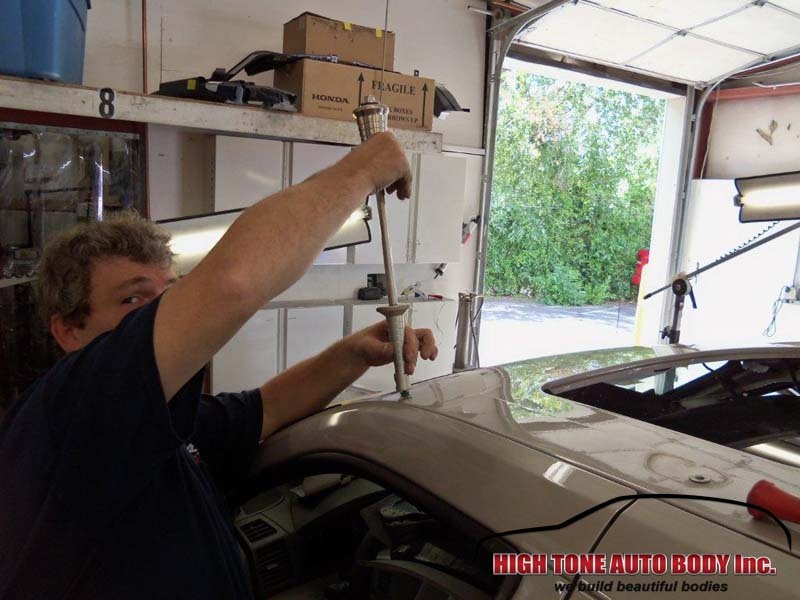 Removing small dents without damaging the paint requires highly trained technicians that can analyze the location, depth, size and shape of the dent so that they can properly perform the extraction process without creating sharp angles between the dented and undented surface in order to avoid paint damage. 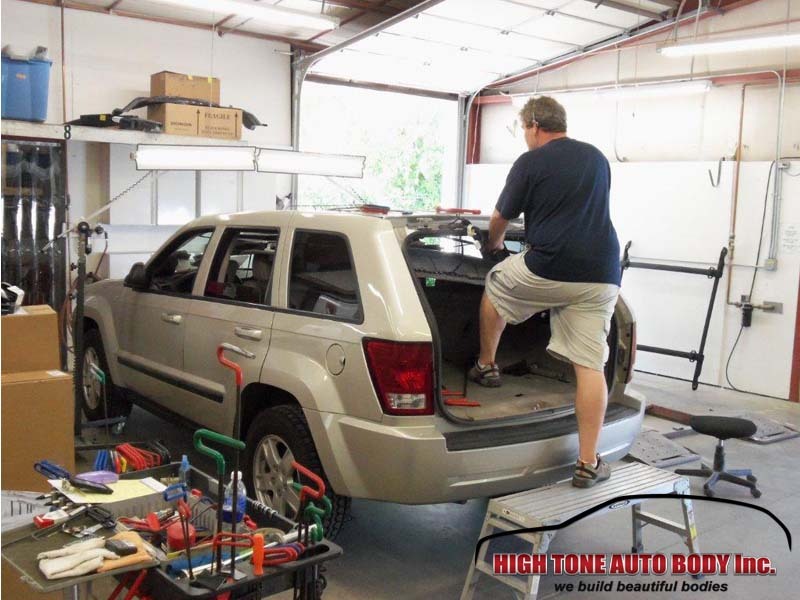 The images below are from a Paintless Dent Removal work our technicians have done on a Grand Cherokee SUV that had dents on the roof that the owner wanted removed without damaging the paint of his new SUV. Removing large dents at the rear end of the Cherokee roof required removal of the back door. The PDR technician first started by removing the tail gate so he can gain access to the back of the roof and carefully work on the dents. He then worked on the larger dents, and then on the smaller ones. There were a few larger dents that needed more work but with every step the dents were smaller and smaller until the technician flattened out the body work completely. After all the dents were removed, the technicians put back the rear door, connected all the wiring, and the car was ready for pick-up. Thanks to the highly skilled work the technician performed, the roof of the car was as good as new. All the dents were removed, there was no damage to the paint and the car looked as if there were no dents ever.